Mindy's Christian Weight Loss Journey - watch her video testimony! 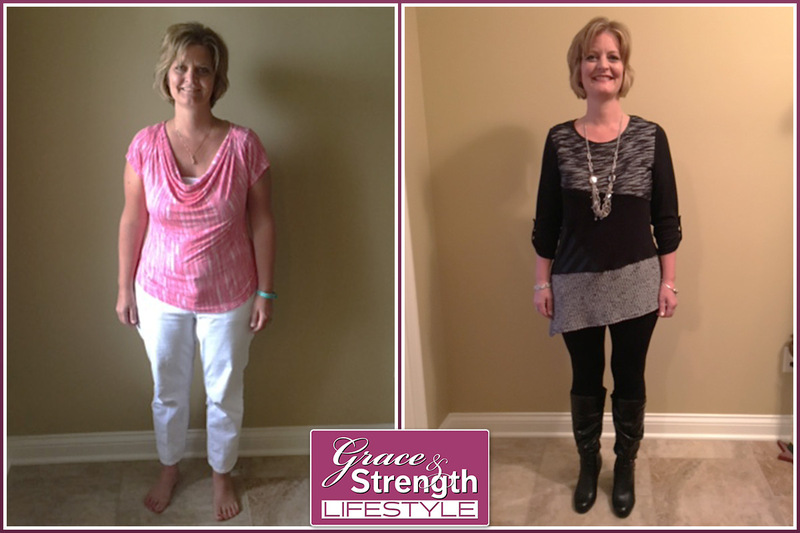 Tonya shares her reasons for choosing to lose weight with the Grace and Strength Lifestyle's Christian weight loss program, and also about some of the effects it has had on her family. Susan's Story: Like many people, my struggle with weight and body image issues started in childhood with having been the youngest of three girls and falling into the trap of comparing myself to them. This led to self-esteem issues, which led to marrying someone who was emotionally abusive in my early 20s, but I divorced after only 1 1/2 years. Since that time, my weight would fluctuate. Kelli's Christ Centered Weight Loss Journey: For some reason, I've really been struggling with writing this testimony. I don't know why, because what I really want to say is that since I started Grace and Strength, I have changed a LOT!!! Video testimony included.